All 14 Keurig coupon codes have been verified and tested today! Customize your Keurig coffee by building your perfect selection of 6-count boxes and ensure that you get exactly what you want. Choose from a variety of brands—the options are endless. Not sure where to begin? Keurig will show you recommendations that fit your unique tastes when you create a Keurig account. It’s free and easy. Simply scroll down on the homepage and select “create an account.” Once you’ve created your perfect, customized Keurig coffee selection, sign up for auto-delivery and save 25% off of Keurig coffee on every order! Join Club Keurig and get in on all the benefits that Keurig has to offer. When you sign up for Club Keurig you get access to more beverages, the mobile Rewards Catalog, and a Keurig discount code on a large variety of products. In addition, earn rewards points on every full price purchase of pods, K-karafe pods, bagged coffee, descale solution, water filters, etc. Cash in reward points for discounts ranging from 10 off full price items. Be sure to make one purchase a year to maintain your points count. Create an account on the Keurig website and start saving! Be sure to check in often with Keurig for special deals and discounts on coffee and appliances. The website regularly has more than one Keurig coupon throughout the year. Some promotions will require a Keurig coupon code, while others will be automatically applied at checkout. Simply visit Keurig online to check out what savings are available. Never miss a deal when you sign up for email alerts from Keurig. Stay in the loop with all of the latest offers, product news, sale events, a chance for a Keurig coupon, and more. To sign up, visit Keurig.com, scroll to the bottom right of the page where it reads “Join Our Mailing List” and enter your email. Get connected and follow Keurig on Twitter @Keurig. Be the first to know about a Keurig coupon, product launches, how to videos, gift ideas, recommendations, and even uplifting quotes. Have comments or concerns? Tweet at Keurig to get assistance on your issue. The gift that keeps on giving--receive 25% off on Keurig coffee when you sign up for auto delivery. This convenient subscription ensures that you never run out of coffee. Cancellations can be made at any time and there will never be initial or recurring fees. 25% off every single auto delivery. Choose from a wide selection of coffee varieties and 75+ brands. Check out once and enjoy over and over! 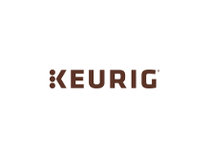 Check it out--receive free shipping on Keurig orders over $39 to U.S. addresses. Plus, a Keurig coupon code, discount, etc. can be used on top of this promotion as long as the end total is over $39. Proceed to checkout and your package will be on its way soon! When you register your new Keurig coffee maker within the first year, you will receive a Keurig coupon of 50% off your next beverage order. To sign up, simply head to the Keurig homepage and click on “Register Coffee Maker” in the right-hand corner. Enter the serial number, your name, email, and password, and click on register. Once verified, you will receive a Keurig coupon code for 50% off 5 boxes or fewer of select K Cup, K-Carafe, or Rivo pods, FORTO Coffee Shots, and bagged coffee. The Keurig promo code will appear on the confirmation page and in a confirmation email. Keurig promo code cannot be used with other coupons or offers. Keurig coupon is for one-time use only.